Believe it or not, this recipe only has 5 ingredients! 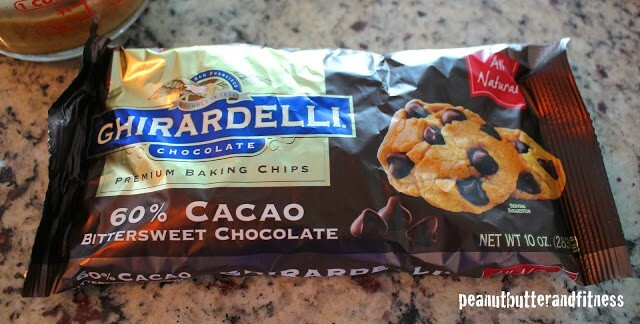 For the chocolate, I used Ghirardelli 60% cacao chocolate chips which helps cut some of the fat and sugar. I imagine you could go up to about 70% and have it still be sweet enough to be delicious. You could also use regular dark chocolate chips or a bar; most of those are around 50% cacao (Nestle Dark Chocolate Morsels are 53% and Hershey’s Special Dark chips are 45%) which means more fat and sugar and less chocolate. 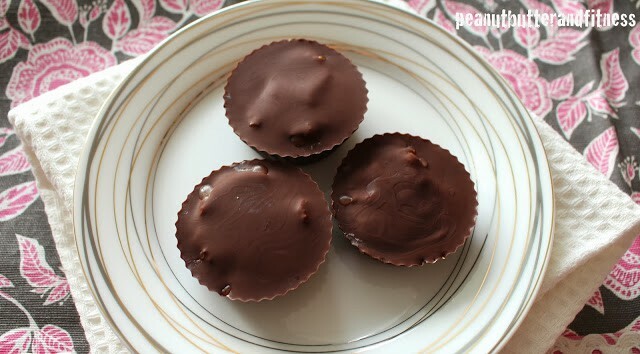 I used silicone baking cups (got mine at Crate and Barrel, but you can find them on Amazon too) to give the peanut butter cups that distinctive edging. I don’t think that this recipe would really work with any other type of baking cup – the silicone is pretty essential to be able to peel these guys out after you take them out of the freezer. No need for non-stick spray with these either! The base layer of chocolate is only about 1/8″ thick, if that. 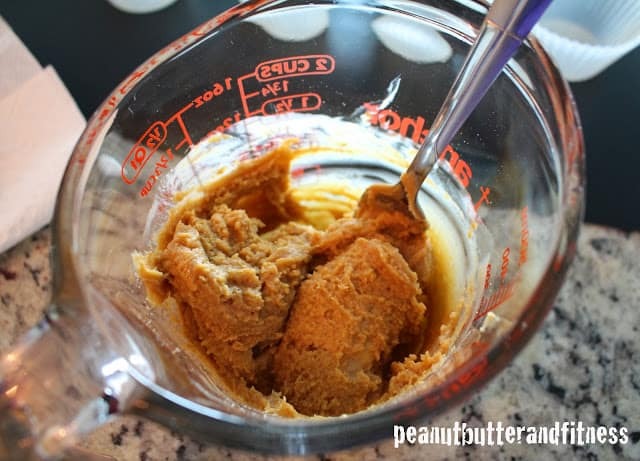 The peanut butter mixture gets sticky! I recently switched up the vanilla protein that I use in recipes and I’m loving this new kind. It’s called Jay Robb’s Whey Protein / The Best-Tasting Protein on the Planet. Seriously. That’s the name. I have to admit, it is really delicious, plus it has a high protein content and low calories/no fat/no sugar (they use Stevia to sweeten it). I recommend using a lower sugar/lower sodium peanut butter in this too. Once you have it spooned on top of the first chocolate layer, just flatten it out a little and leave some room on the sides for the chocolate to fill in with the top layer. In a small bowl, combine vanilla protein and PBAdd unsweetened vanilla almond milk and mix until smooth. Then add peanut butter and mix until smooth. In a small pan, melt chocolate chips over low heat. 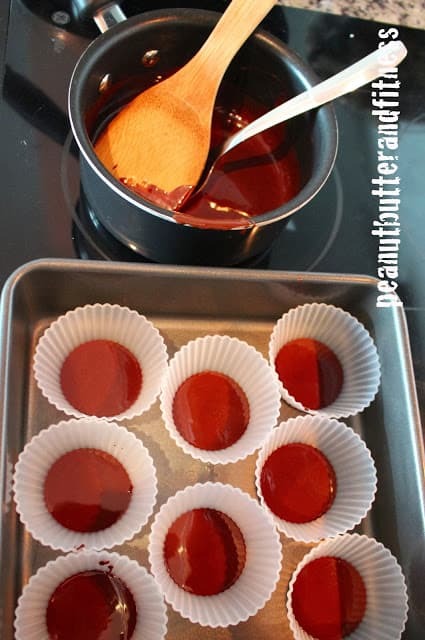 Add a small layer of melted chocolate to each of 8 silicone baking cups. Place on a tray and into the freezer until hardened, about 15 minutes. 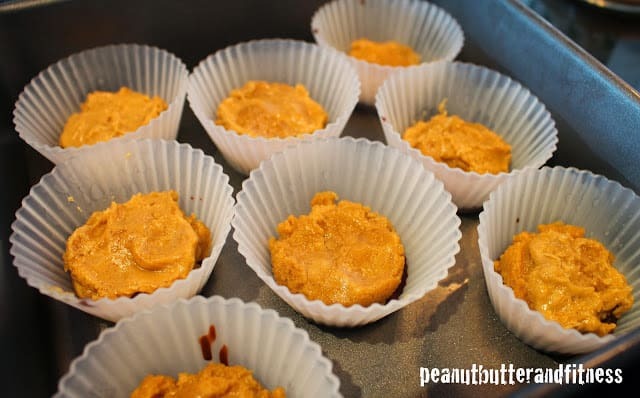 To each baking cup, add a spoonful of peanut butter mixture and press lightly into the cup, leaving some space on the sides for the chocolate to fill in. Top the peanut butter mixture with melted chocolate. Return cups to the freezer until hardened, about 30 minutes. Remove from silicone cup and wrap in foil. 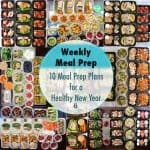 Store in the freezer until serving. This looks awesome! I'm absolutely trying this. Where do you buy the protein? 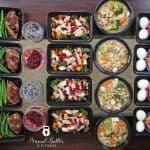 What is pb2 in this recipe? PB2 is powdered peanut butter. You can read more about it under the Cool Stuff tab. Jif makes something similar now but don't waste your money. PB2 is better by far! 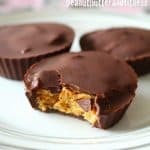 love anything with peanut butter and chocolate, definitely craving a bite of these protein cups right now! You made Reese's cups healthier? You're my new best friend! Pinned! get healthy peanut butter cups! 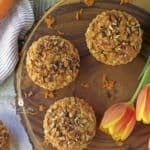 These are delicious and have got fantastic strong peanut butter flavor. Not too sweet. I didn't have silicone cups so I lined some small bowls with plastic wrap and it worked pretty good. Do you think the recipe is big enough that I could turn them into bars in an 8×8 pan? The recipe is probably big enough to do that, but they will probably be harder to eat. Let me know how it works out if you try it! What does PB2 mean? Can you substitute almond butter for Jiff's peanut butter or would you advise against that? Thanks, I am excited to try! PB2 is powdered peanut butter. You can read more about it in the Cool Stuff tab on my blog. I wouldn't substitute it with regular peanut butter since the powdered peanut butter helps give it the right texture. In the freezer now. Can't wait to try! Any alternative to milk should work…rice milk, coconut milk, cashew milk, regular milk, etc. 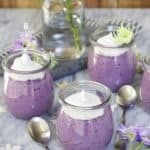 Cool recipe! 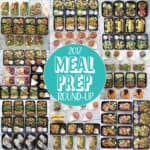 I really like how you incorporated protein powder into the mix. Hi Kristin, it's powdered peanut butter. You can find out more under the Cool Stuff tab or by Googling it. 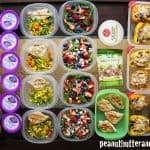 Why both regular PB and PB 2? For consistency? could you mix up some PB2 instead of regular? Hi Andrea, yes I use both for consistency. You could try to use all PB2, but it won't be as sweet and will likely be too dry. 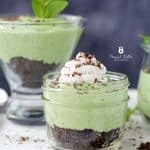 nxious to try this recipe. You use Jay Robb, and Jif. How about trying Kirkland( Costco) Natural Peanut Butter. Made with Valencia peanuts, I think has a richer flavor. 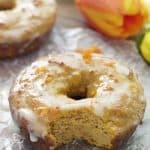 can you use almond butter to sub for the Jiffy peanut butter? Do you think hemp protein powder would work just as good? These are excellent. I just made them, although I used Orgain Organic Protein Plant-Based Powder in Vanilla Bean instead of the brand you recommended since I didn't have any of that company's protein powder. I do plan on getting some of it to try next time though. Thank you for sharing this recipe. 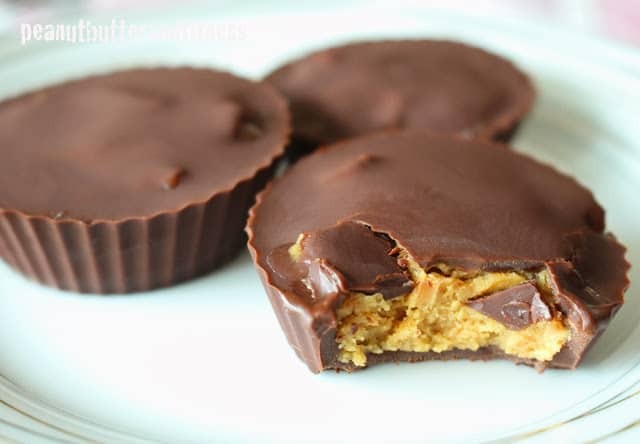 It was fast, easy to do, and best of all the peanut butter cups were delicious. Thanks again.